Tradecorp will be present at Agritechnica, the world’s leading international exhibition for agricultural machinery and equipment. In its first participation in this event, Tradecorp shares stand with RS Trading GmbH, the market leader company in Germany for bulk blend technology. The fair takes place in Hanover, Germany, from 12 to 16 November 2013(more information: http://www.agritechnica.com/home-en.html). 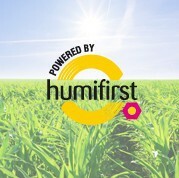 Tradecorp will show its new image and new catalog in Germany, especially the range of products based on Humifirst.